ANAGENESIS allows for the first time to produce in vitro unlimited amounts of healthy and diseased human cells of the muscular, skeletal and skin lineages. They will revolutionize the therapeutic strategies for a wide range of human diseases by providing unique in vitro tools for high throughput screening and identifying new pharmacological agents, but will also constitute a unique source of biological material for cell & gene therapy strategies. Professor of regenerative Biology at Columbia University, NY. Director of the Columbia Stem Cell Initiative. He is a cofounder of the Biotech company Trophos. Currently Professor at the Strasbourg ˝Faculté de Médecine˝ and group leader at the ˝Institut de Biologie Moléculaire et Cellulaire˝ (IGBMC) in Illkirch. For the past 15 years, Olivier Pourquié’s group has been studying the differentiation of muscle, skeletal and dermal precursor cells in the embryo and he is an internationally recognized leader in the field of musculoskeletal axis development. He is a cofounder of the Biotech company Trophos. 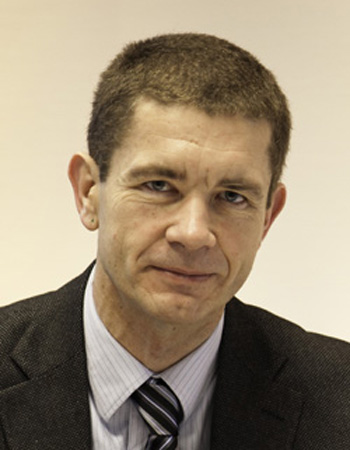 MBA at London Business School, graduate of the Institut National Agronomique Paris-Grignon Thierry Noel started his career in the group ˝Suez Environnement˝ where he held executive, operational and strategic positions for 15 years. In 2007, he created his own consulting company, Amane advisors, specialized in strategy, external and internal growth, and project or technology development in the field of environment and renewable energy production. PhD in the field of anti-cancer drug development. After several collaborations with pharmaceutical companies during her PhD, she has joined the group of Professor Ali Brivanlou at The Rockefeller University in New York to refine her expertise in human ES and iPS cells and learn about scientific projects' management. PhD and postdoctoral training in Olivier Pourquié’s laboratory at the Stowers Institute for Medical Research on the differentiation of muscle, skeletal and dermal precursor cells in the embryo. In 2009, he returned to France with Pr. Pourquié. He is an expert in stem cell biology and he has supervised the development of the technology developed by ANAGENESIS.